Join us Sunday, August 30th at 11:00 for our Morning Worship service with special guest musicians, Luis and Anita Diaz from Haywood County. This highly trained couple is using their musical talents to reach people for Christ. They will present an Sunday afternoon concert at 2:00pm following a church dinner at 12:30. The public is invited. You can learn more about their ministry at their website http://worshipleaderanitadiaz.blogspot.com and listen to a sample of their music. We are anticipating a great Sunday as we get ready for Fall . A new Sunday School year and format takes place on September 6th. JOIN US TUESDAY JULY 21st AS VBS CONTINUES THROUGH FRIDAY JULY 24th. OUR THEME IS “GOD PRESERVES HIS PEOPLE.” PRE-SCHOOLERS THROUGH 7TH GRADERS ARE INVITED. EVERYONE IS INVITED (PARENTS INCLUDED) TO SHARE A MEAL BEGINNING AT 5:00 pm. 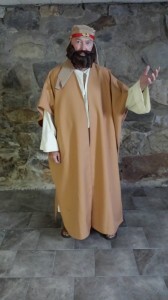 THE FUN BEGINS AT 5:30 WITH MUSIC ,GAMES, CRAFTS AND BEST OF ALL LEARNING HOW GOD SAVES AND PROTECTS HIS PEOPLE. Maundy Thursday April 2 at 7:00 PM- Rev. Rick Johnson. This is a special “Upper Room” and Holy Communion Service focusing on the sacrificial words, acts, and love of Christ. It will offer time for personal reflection and culminate in Holy Communion. Good Friday April 3 at 7:00 PM – Rev. Ray Bailey. In this solemn service, we will focus our attention on “The Day He Wore My Crown” and remember why our Lord Jesus went to the Cross and died for our sin. Easter Sunday April 5 at 9:30 AM – Our Easter celebration will begin promptly with a brief “Easter Morning Moment of Reflection” along the east side of the Church and the edge of the Pleasant Grove Cemetery and continue with a Breakfast Fellowship in the fellowship hall at 9:45 AM. Our breakfast is open for everyone. Invite others and bring a breakfast item to share. There will not be a Sunday School on Easter, but a very special Easter Worship Service will begin at 11:00AM. Excited that it’s FINALLY Spring? Join in with your friends and neighbors as we enjoy an afternoon of fun, fellowship, games, and food. Everyone is invited. Chili, cornbread, and all the desserts you want are on the menu! It’s a great way to start springtime. Come back for Sunday School at 10AM and our Worship Service at 11AM. See you there. YEA, IT’S SPRING! Rev. 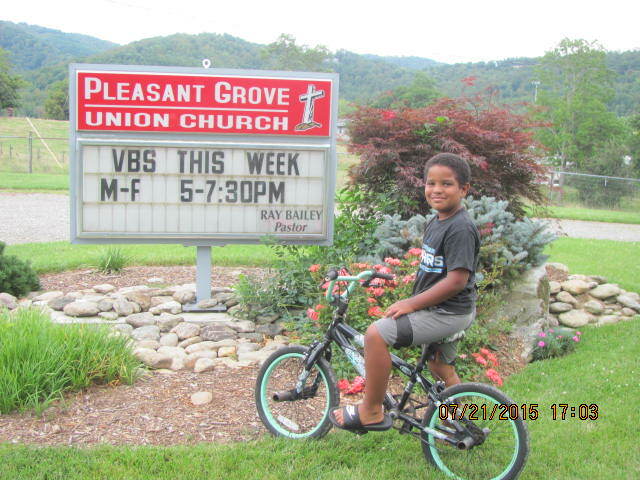 Rick Johnson has assumed pastoral duties at Pleasant Grove Union Church, following the assignment of Dianne Johnson to Snow Hill Methodist , Candler NC. Rev Johnson preached his first message on SundayJanuary 18th and encouraged the Congregation to expect something great from the Lord, look for resources within the membership and match the resources to the goals. A fellowship dinner was enjoyed after the service by the members and the new pastor. Rev Johnson will preach on the 1st, 3rd, and 5th Sundays each month. Rev. Ray Bailey continues serving the Pleasant Grove congregation on the 2nd and 4th Sundays each month. December 13 – Saturday. Our Christmas party is planned for December 13th. We will have a small trailer with some hay bales and go caroling in the community and finish with a spaghetti supper and a small party. We will play a game that will be a gift for man or woman $10 or under. Melia will have more details later. She will make the spaghetti and Ashley is doing the salad we will need bread drinks and desserts. All are invited and please bring someone too!!! November 3 – 7:00 PM. Monday night healing prayer service led by Avery Parker. November 9 – 11:00 AM. Sunday. See the dramatic video account of Liena’s Prayer during the morning worship service, as Pastor Ray leads us in praying for millions of Christians around the world who are facing persecution. November 16 –5:00 PM. Sunday. Charge Conference. Annual meeting for worship and business of all Methodist affiliated churches in the Asheville and surrounding areas. 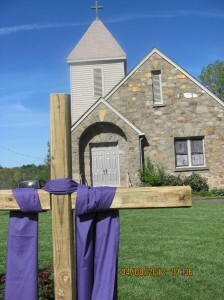 This year we will meet at Biltmore UMC in Asheville. All members of this church are welcomed to attend. We will enjoy a hotdog supper with fixins at 4:30 and the movie will begin around 5:00 in the basement fellowship hall. Everyone is invited to come and eat and watch the movie. Hope to see you there!